I'm having the following issue. The CPU meter shows the wrong clock speed no matter what I do. I have opened the shared memory viewer and updated to the correct sensor, 100% sure of it, yet the plugin always shows low values like 90 MHz. How do I even troubleshoot this? It's been almost exactly three years since I started working on ModernGadgets, and it's been a long road. Thanks to all who downloaded it, and to those who have been active users over the years! I would especially like to thanks SilverAzide, without whom this whole thing would have been significantly more difficult (and a lot less cool as well... ). Okay, cheesy soap-opera moment over. I'll use this opportunity to say that the next v1.5 beta will be out soon, and it includes a major change: a new default font! Several people (myself included) found Roboto hard to read at the gadgets' default size, so I found a better alternative called IBM Plex Sans. Not only is it easier to read at small sizes, but it has an overall cleaner look to it across the board. I hope you guys enjoy the change! 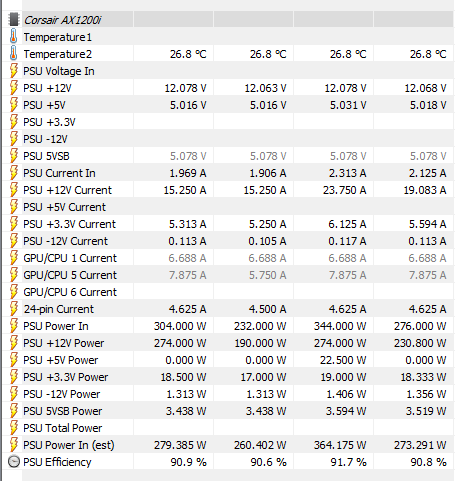 From whatever little I understand, clock speed doesn't even have a value assigned and is taking the temp value instead? Edit: Also here's what my Shared Memory Viewer looks like, it's supposed to be fine, isn't it? I actually did want to do this, but I didn't think that HWiNFO could get that information, so I decided against it. Could you tell me what kind of information HWiNFO is able to detect? Perhaps with a screenshot of the sensor list from the PSU? Gadgets (modern or retro) rule! Hmm. 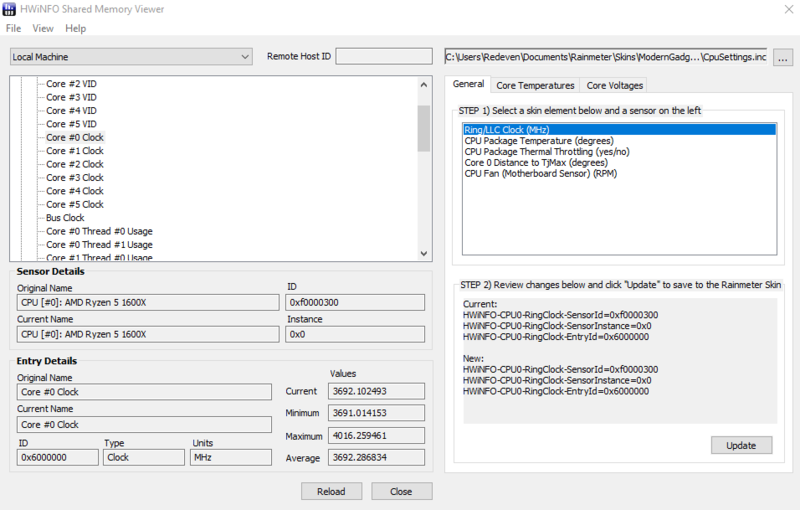 Do you have the CoreTemp application installed and/or running? 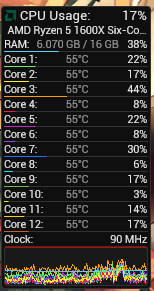 Your CPU Meter is trying to take the clock speed from CoreTemp rather than HWiNFO. If you have CoreTemp, go ahead and uninstall it and see if that fixes the issue. That's awesome! Could you tell me how you're getting this info? You said something about USB? The color picker doesn't seem to work for me for some reason. Nothing happens when I left click any of the color options in any of the settings windows. Is this a known bug or something on my end? I noticed the problem while running rainmeter 4.2 and moderngadgets 1.4.1. Updating to the latest beta version fo both rainmeter and moderngadgets didn't fix it. Odd. Could you open up the log and tell me if it says anything when you click a color button? If you don't know how to open the log, just right-click on the Rainmeter tray icon on the taskbar, and click About.